Happy Wednesday, all! I’m in court today for jury duty, but I wanted to do a quick post about all things fall in the home. With the official first day of fall only a week away, I’m seeing more and more fall home tours. I personally have only started the transition a little in our own home. Since I like to keep things neutral, I tend to struggle with how to warm up our space for fall without incorporating all the typical colors. Luckily, neutral fall decor seems to be the trend lately. 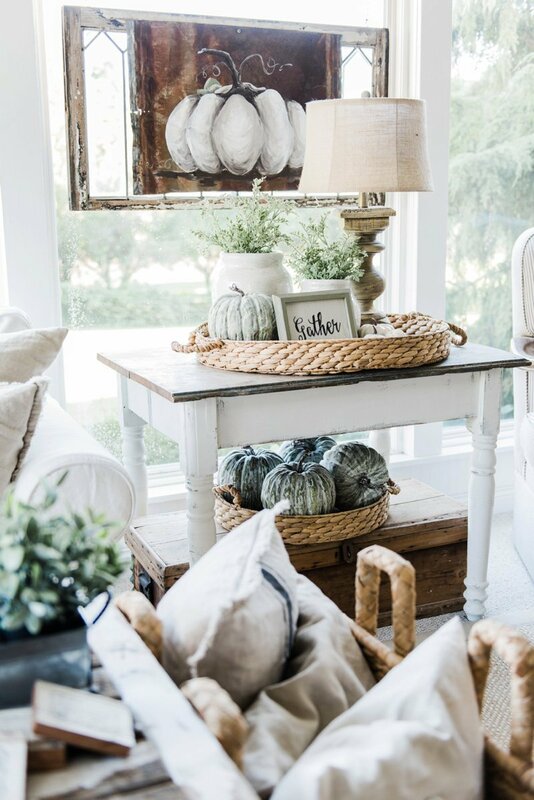 Here’s a roundup of my 5 best sources for neutral fall decor inspiration. 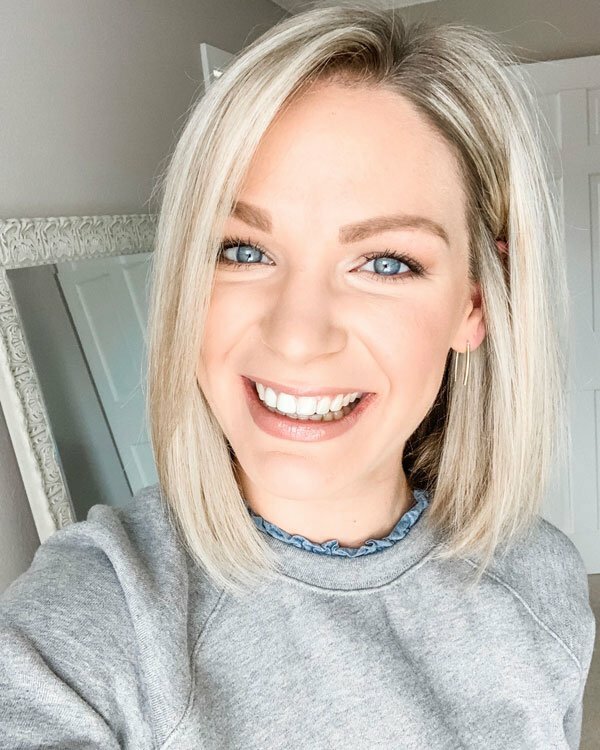 Liz Marie Blog is probably familiar to most of you. Her fixer upper farmhouse is what my dreams are made of, and I love following the renovation process. 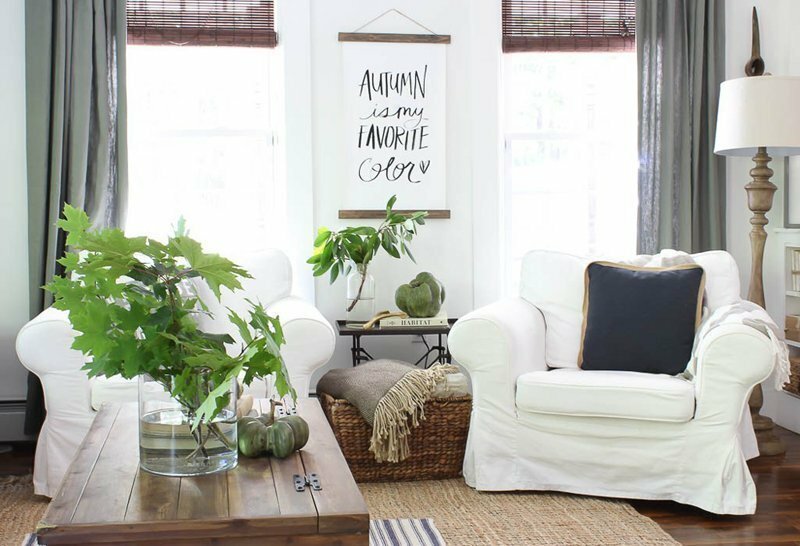 Her neutral and cozy fall living room (even better that it’s a sunroom!) is exactly the look that I want to achieve in our own home. Rooms for Rent Blog is relatively new to me, but her farmhouse fall living room is probably my favorite one that I’ve seen. With the addition of a few decorative pumpkins and lots of wood tones and greenery, I want to move in and make myself at home! Adventures in Decorating is a blog that my mom introduced me to (thanks, mom!). I love her style because she uses a lot of pieces from IKEA and makes them look more luxe and expensive than they really are. 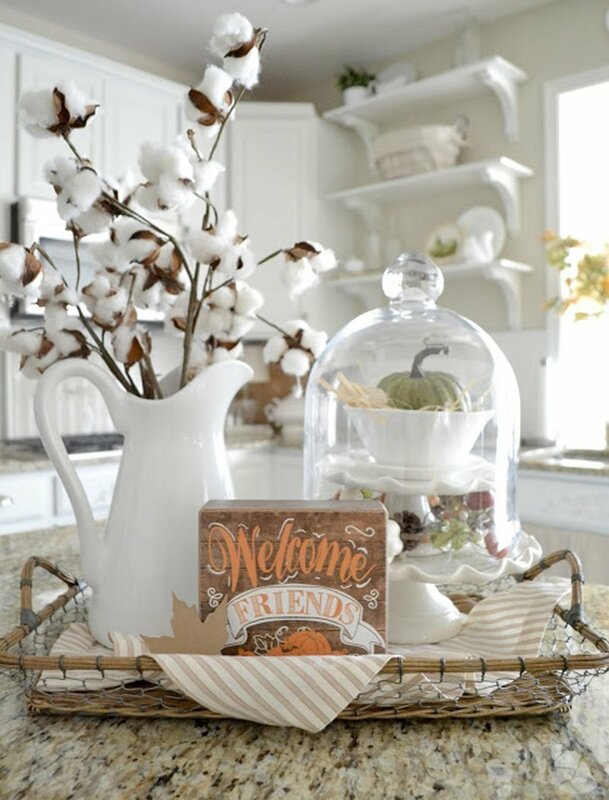 All the little fall vignettes throughout the rooms in the house make it warm and inviting. 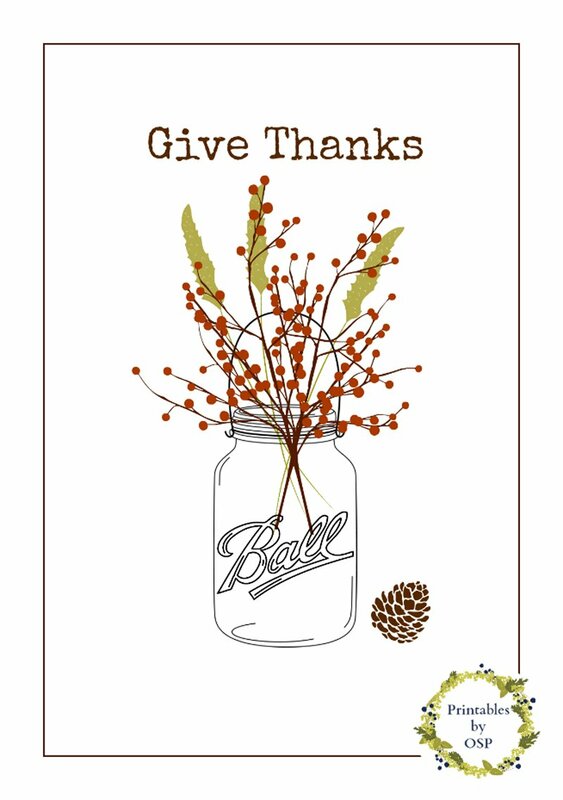 On Sutton Place is my go-to source for free printables, and she has a collection of 30 original prints to choose from this year. These are so easy to print and hang or frame anywhere in the house for a pop of the season. Dear Lillie has been a longtime favorite, and this year’s fall home tour doesn’t disappoint. I find her home to be a bit moodier, for lack of better word, with the darker paint colors and lots of gold accents. But, she always seems to make her spaces still feel light and airy. What are your go-to resources for decor inspiration? Do you like neutral fall home decor? 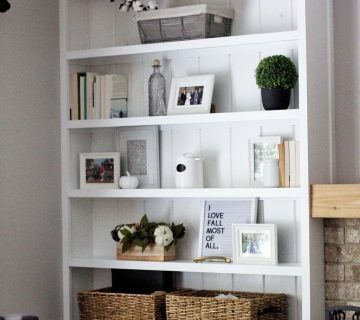 This makes me want to go pin-crazy on neutral fall decor! It also makes me want to explore home renovation and house decor blogs more! I feel a little bad for my husband, even though it was just last year that I picked how I wanted to design the rooms in our house, I’m already wanting to switch up and change some things around! These posts always give me so many ideas! 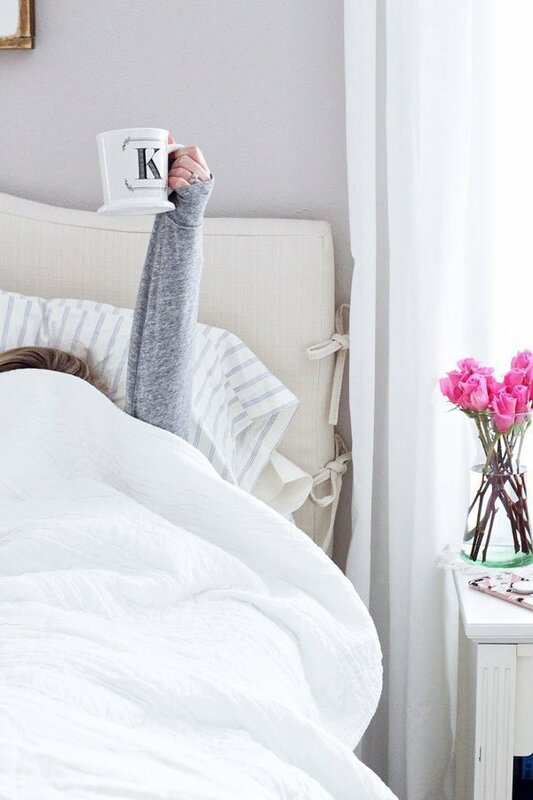 Home blogs are some of my favorites – I just find them so inspiring. Girl, I hear you on the husband front – Ryan just tries to go with the flow these days and not get in my way if I have a decor idea in my head, ha! oh all of these are so pretty! i love looking at decor like this, or these kinds of homes, but that definitely is not what my home looks like, at all, not even close lol. boo to jury duty! Haha, you and me both, girl! But I love trying to pull bits and pieces from the inspiration to try and incorporate it around our house. Don’t even get me started on the jury duty topic – 4 times in one month is a tad ridiculous. Good luck with jury duty, lady- I saw on Snap you dodged a bullet; hopefully that keeps happening! Her home is so lovely! I don’t change ours up too much with the exception of Christmas. Seasonally I add a few pieces here and there (think pumpkins, so creative, right? ;)). I wish I was better at it. Hope jury duty goes well! Although somewhat inconvenient, I enjoyed learning about it when I did it. I’m the same way with our house, but I do like to add seasonal elements – pumpkins, like you. 🙂 I was looking forward to jury duty until I found out that I’m on call for the entire month and have to report four times. My county has a weird system! I don’t follow Liz Marie’s blog but I love her on instagram. Her farmhouse is dreamy! My mom is a Dear Lillie fan, and she always loves it! 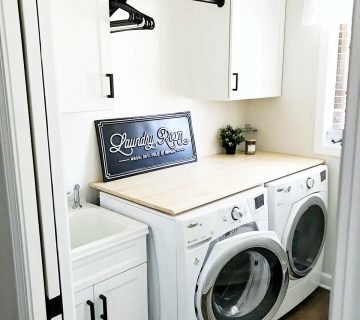 Liz Marie’s house is my dream house – I’m so in love with it! So fresh and crisp, right?! I haven’t heard of any of these, so glad you shared them! Can’t wait to check them out for inspiration! So glad you found something new! Thanks, girl! Adventures in Decorating was one of the first blogs I ever really followed! And love Liz Marie – she doesn’t live too far from me here in MI! I would be stalking her farmhouse and shop daily, lol. 🙂 I love Adventures in Decorating, such a cute house she has! So many pretty things- I follow Liz Marie on Pinterest but don’t think I’ve ever actually stopped by her blog. 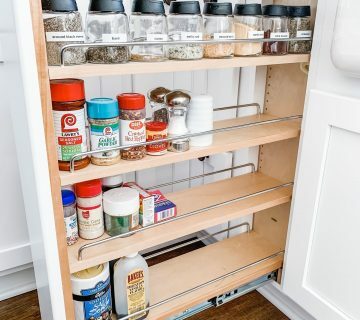 I was doing the same thing and then finally went to her blog – I love it! 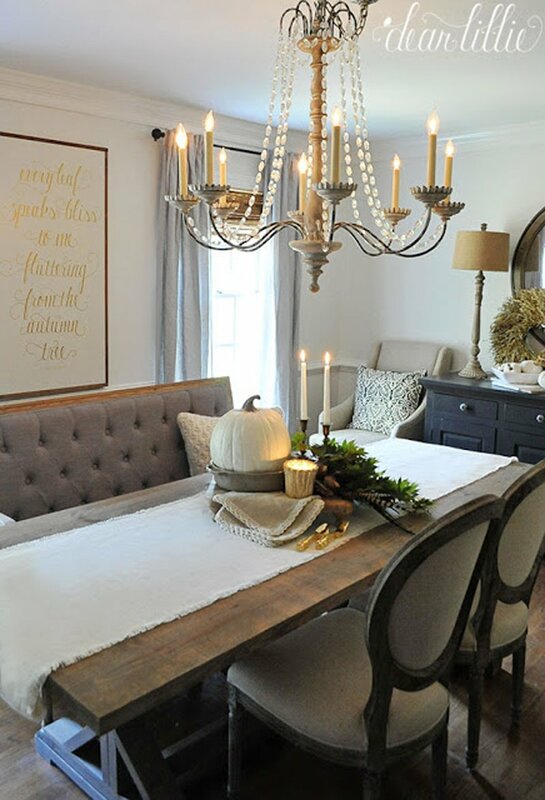 I love the neutral fall decor! Thank you for the inspiration, now I’m ready to decorate! You and me both, lady! I love all the rooms and inspiration here! I feel like re-doing my entire house in neutral decor, I’m loving it so much these days (but you know that would be a monumental task!) I’m going to check out a couple of these blogs, too! Hope you found a couple new blogs and some new inspiration! Loving all these photos! Such great fall inspiration! I love love love all of these, but the dining room is the one that I think would be the most doable in my home. They’re all gorgeous though!! So pretty! I love elements from all of them. I was thinking of you when I got my jury summons! I got excused last week, but I have three more opportunities this month so we’ll see (where I live, you’re on call for the entire month). I need to get some new throw pillows for fall, too!